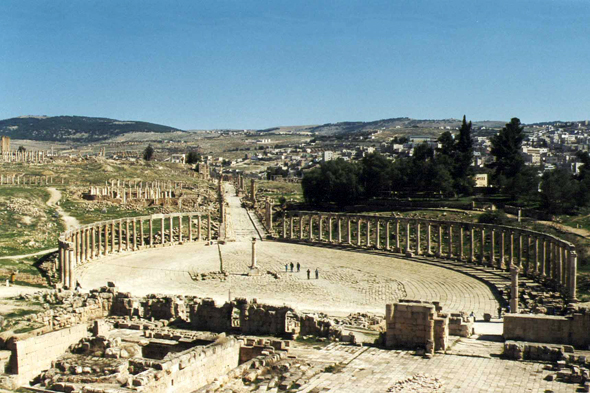 The oval or rather elliptic Plaza was built between the first and second century of our era. This architectural element shows the inventiveness of the architects of the time to avoid any rupture with the layout of the cardo which does not arrive in the axis of the monumental staircase of the temple. Regarded a long time as the forum of the city, it is interpreted today as an holy esplanade in thecentre of which an altar was placed.